AOMG quickly put to rest rumors that its artist, rapper Gray, is dating actress Song Da-Eun. 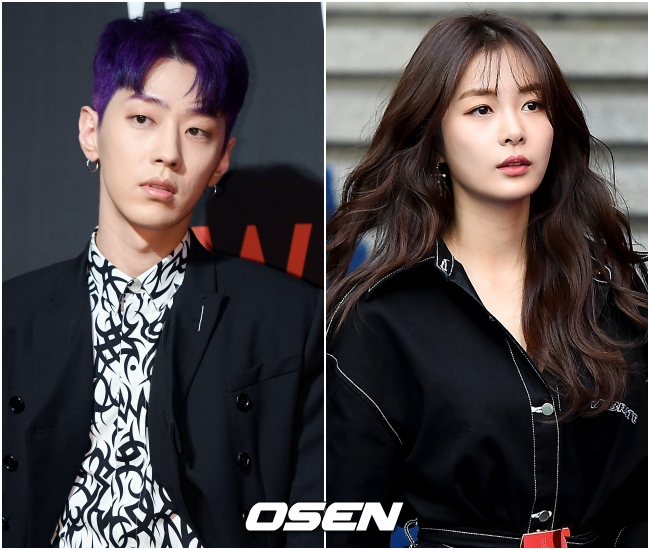 AOMG Official, Gray’s management agency, told news outlets on Friday afternoon that a report claiming that the rapper and actress Song Da-eun are dating is a groundless rumor. The statement came just 20 minutes after the now debunked article emerged and helped to prevent the story from spreading any further. Song’s representative also denied the rumor afterward. Earlier, a media outlet reported that Gray and Song had graduated into a romantic relationship from friends. Further, according to the article, the two began to date sometime last year. However, due to their celebrity status, they have been cautious to hide their relationship in public. On the other hand, when with close acquaintances, they were able to open up and express their affection for each other, the article purported. Last year, Song saw her popularity grow after starring in Channel A’s “Heart Signal 2” last year. She later appeared in well-received web dramas.